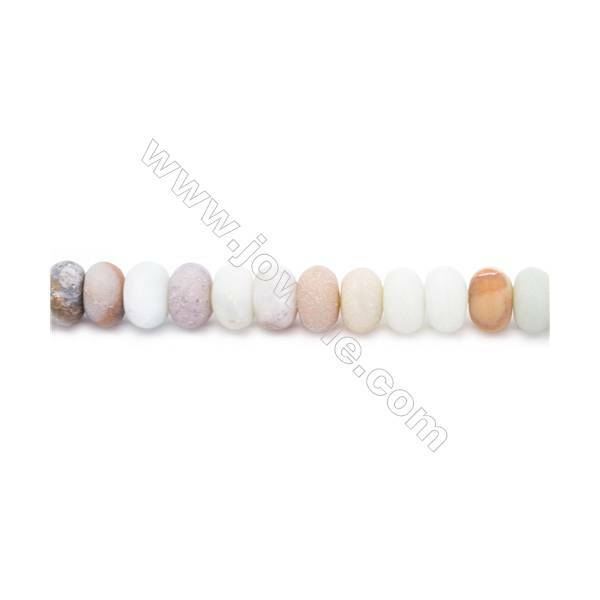 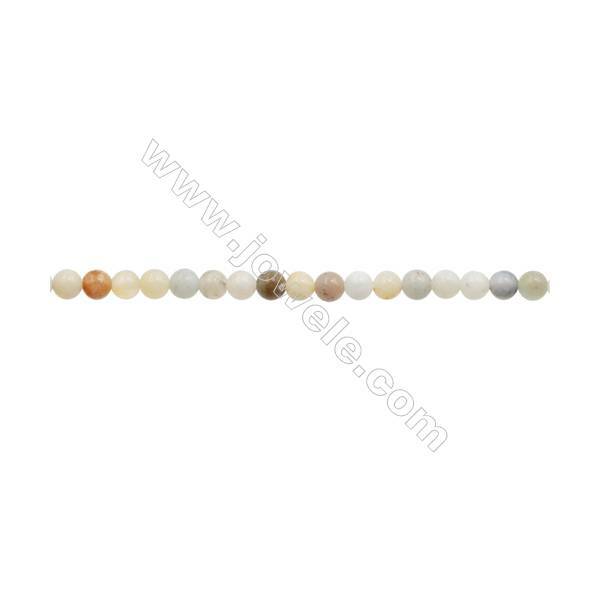 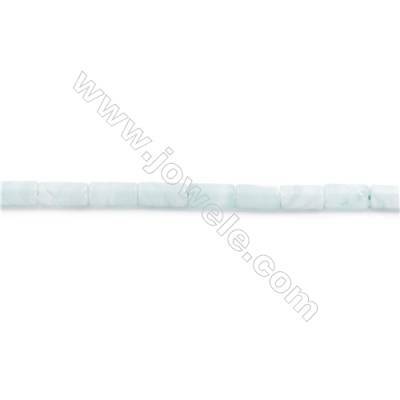 Amazonite is a powerful Barrier Filter. 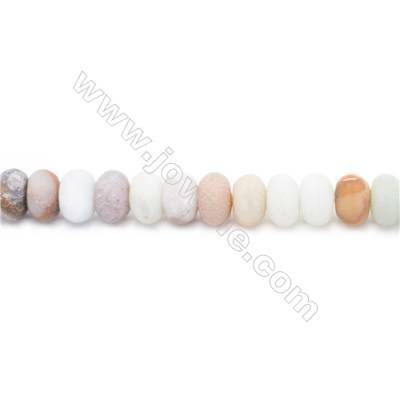 This is a stone of protection. Amazonite can help you focus and amplify your efforts to keep undesirable factors out of your lives.Also amazonite will keep negative energy away from you. 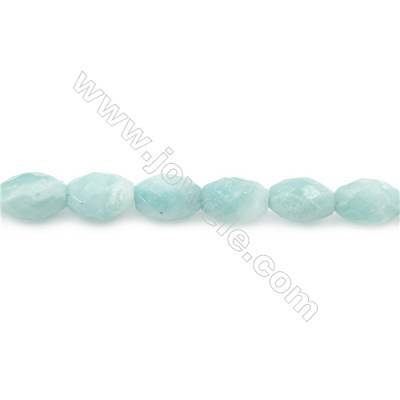 It is one of the most protective stones you can own.The turquoise color of this mineral helps temper excesses, restore calm after a storm, relieve stress, neutralize extremes, and provide a counter to tendencies to fly off in a single direction. 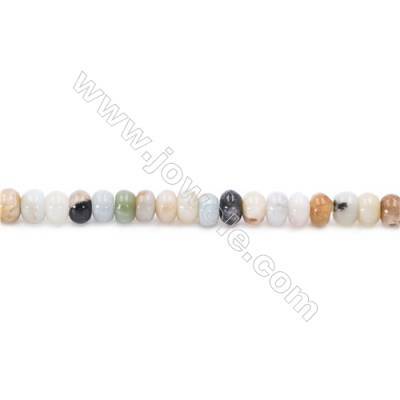 It helps you overcome conflict, and deal with rage. 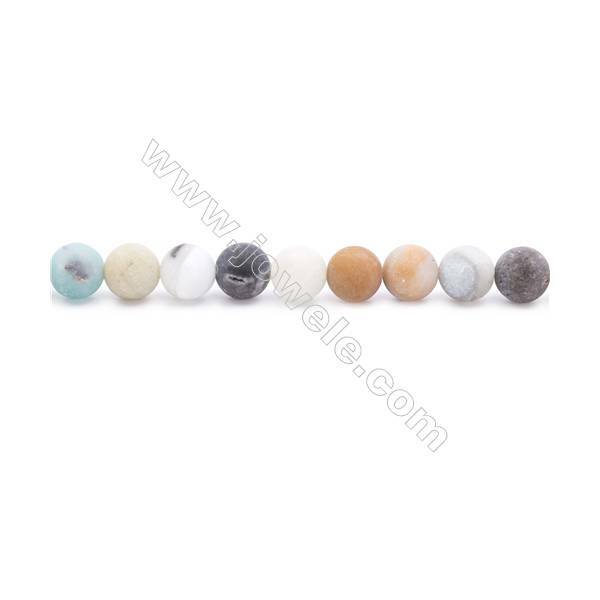 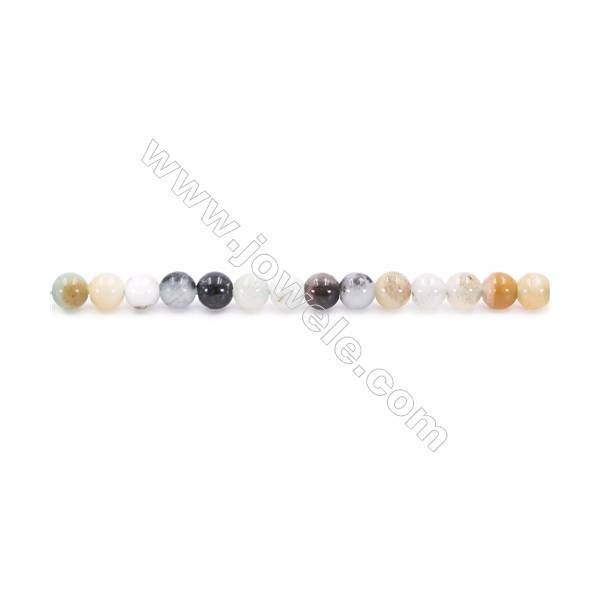 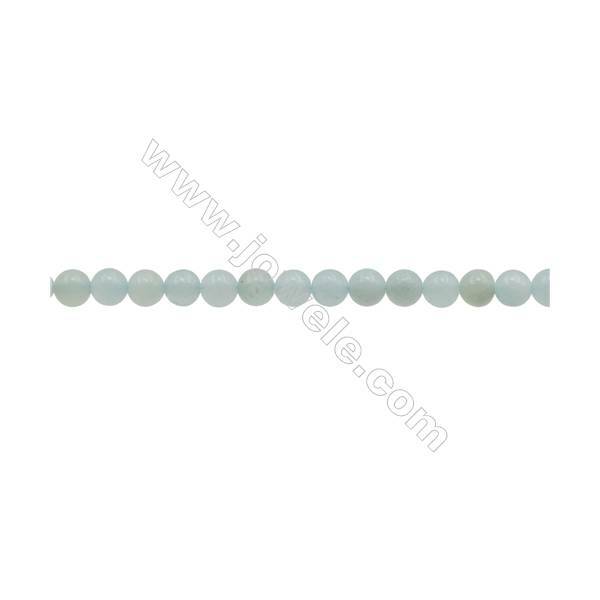 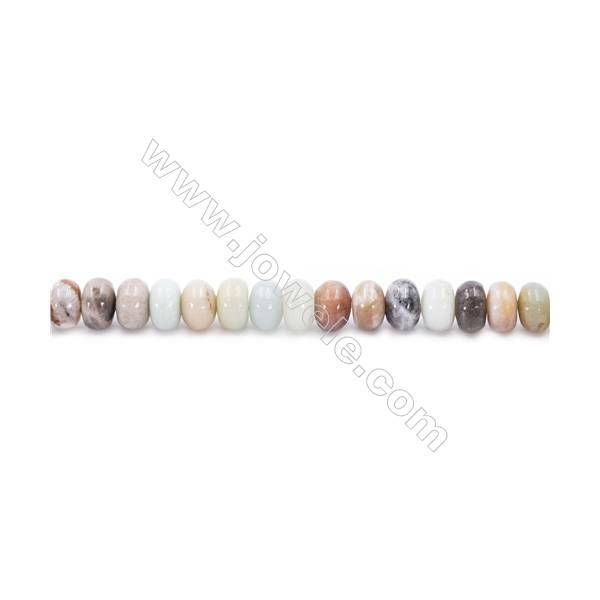 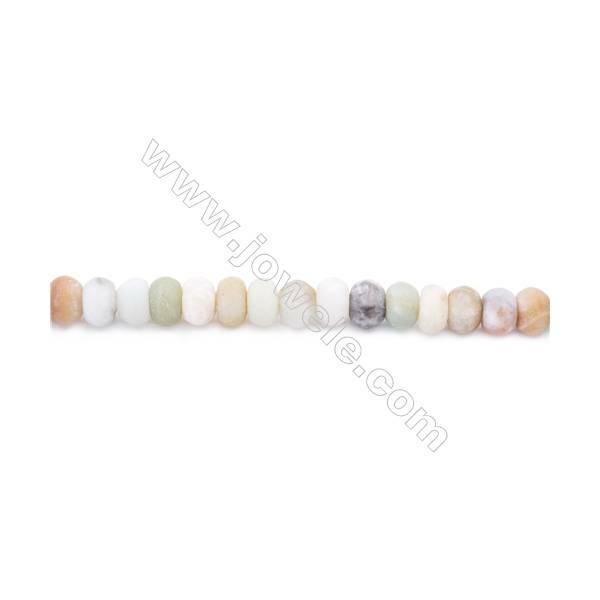 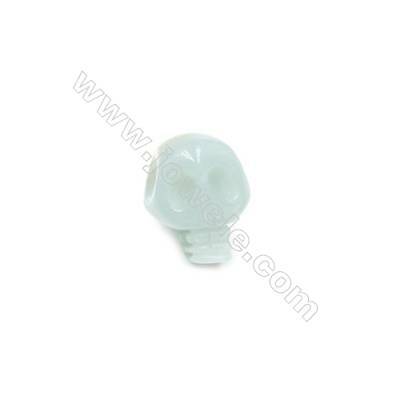 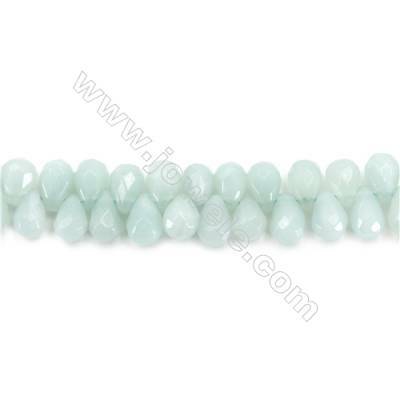 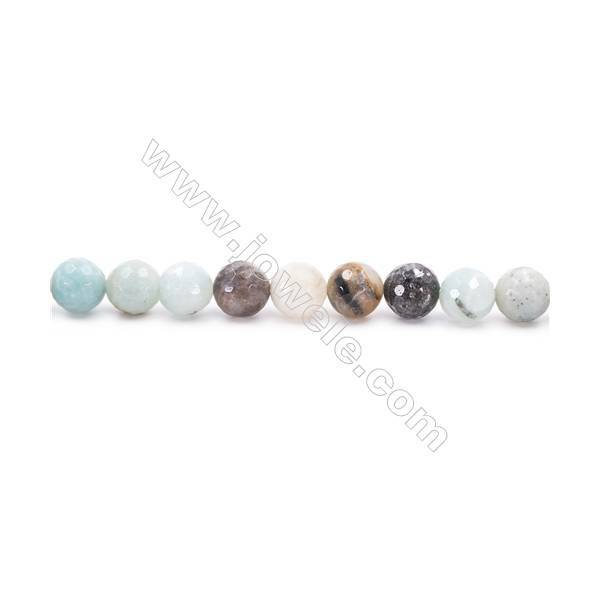 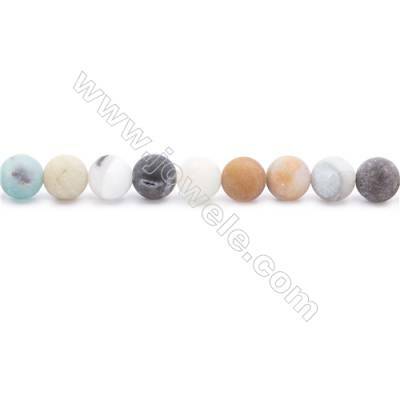 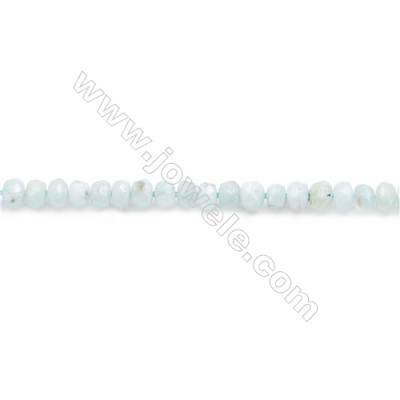 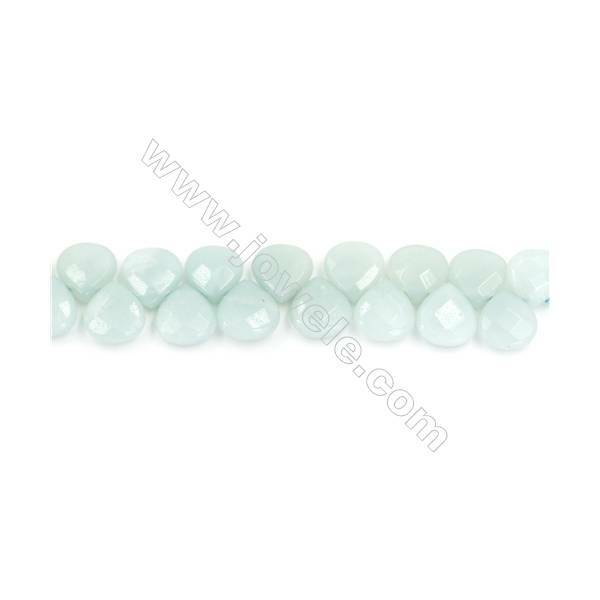 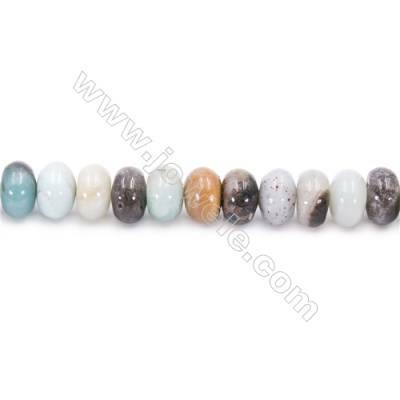 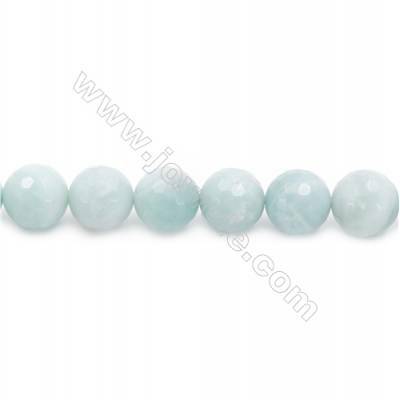 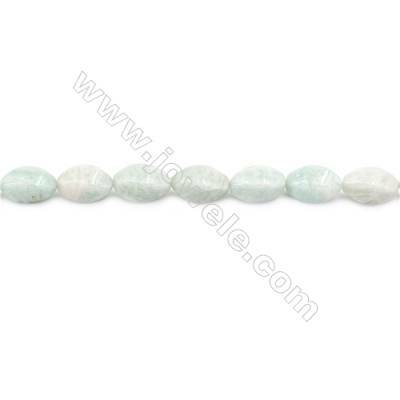 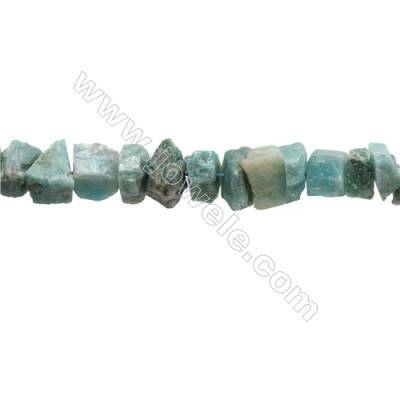 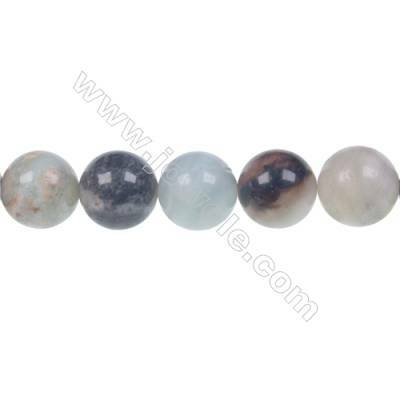 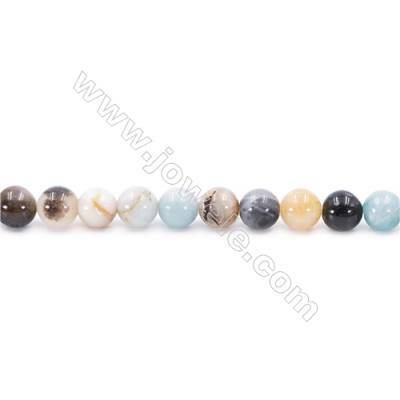 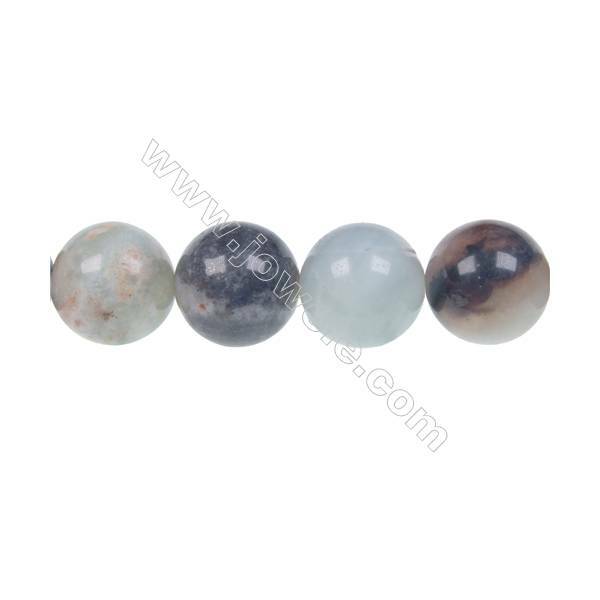 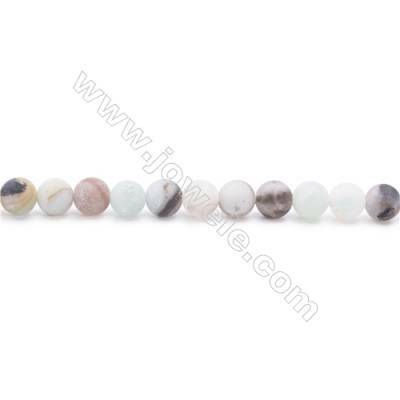 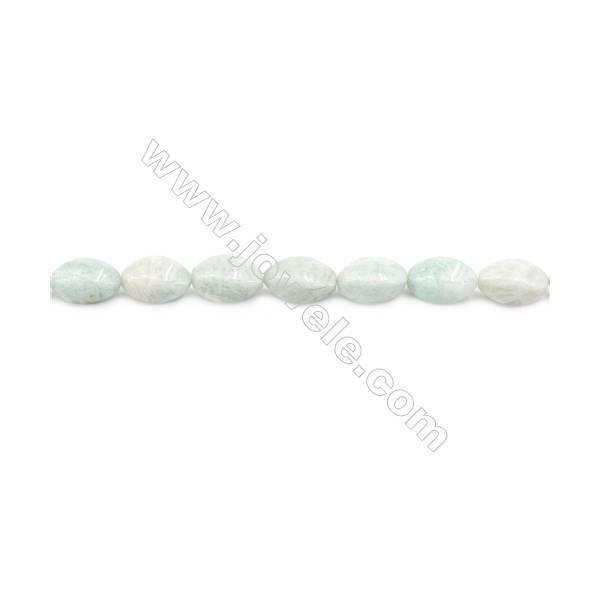 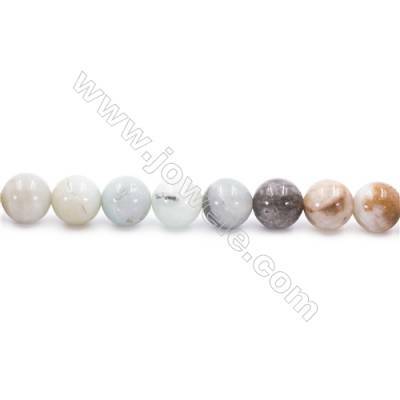 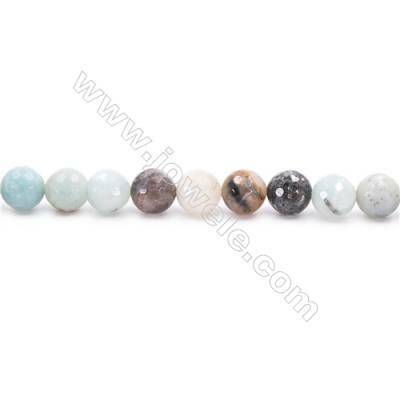 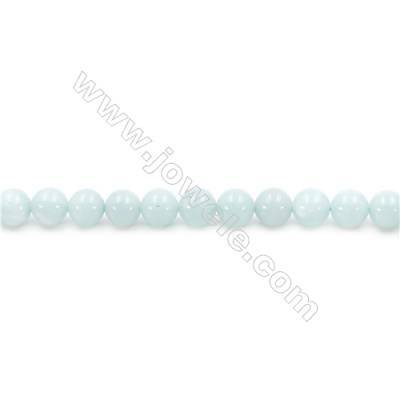 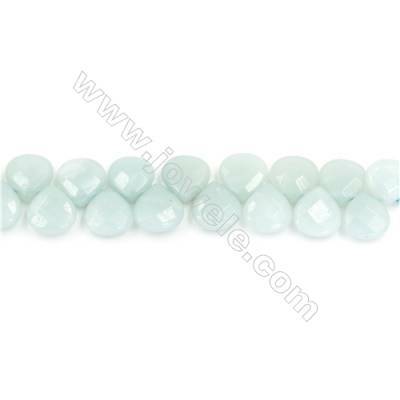 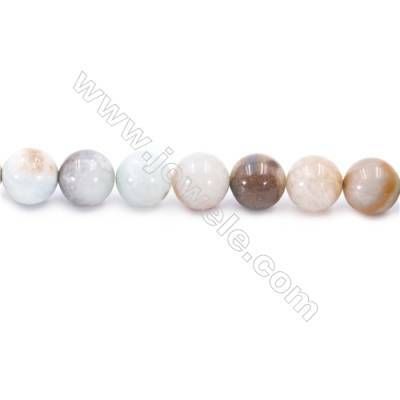 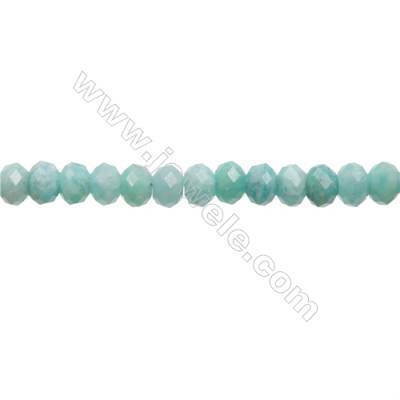 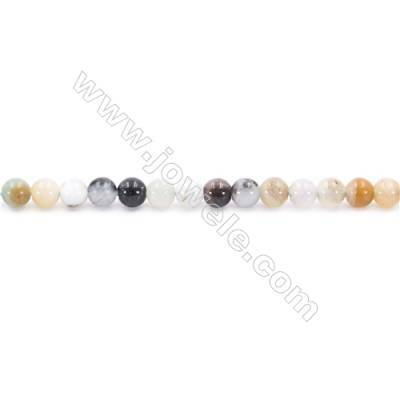 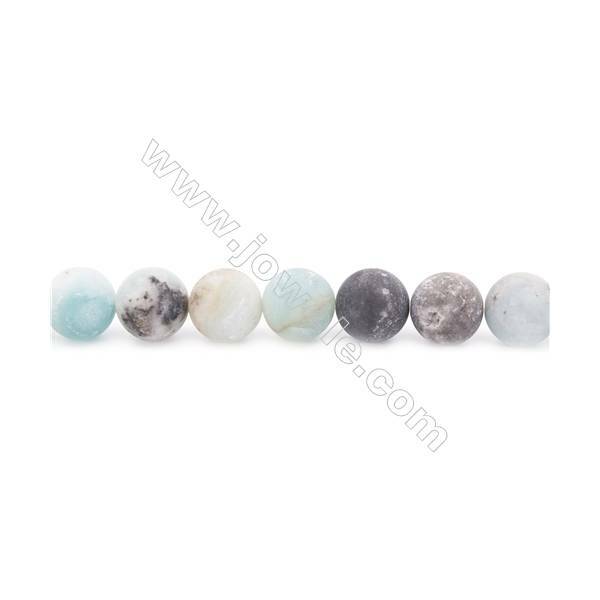 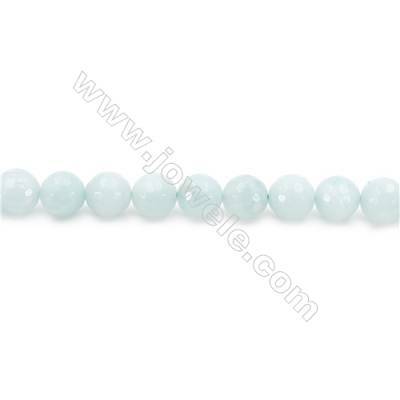 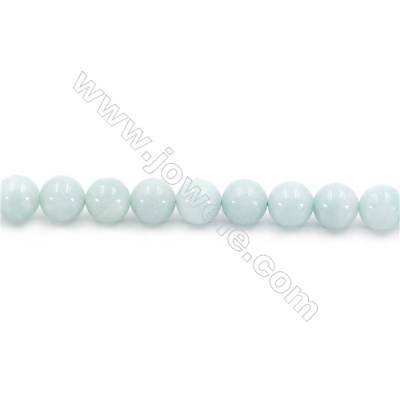 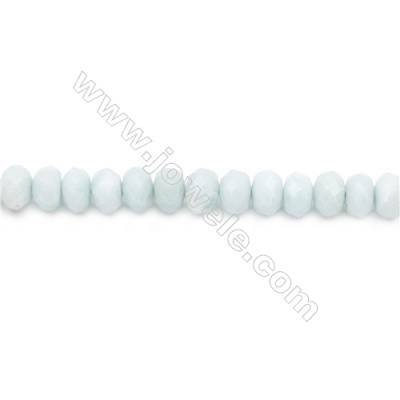 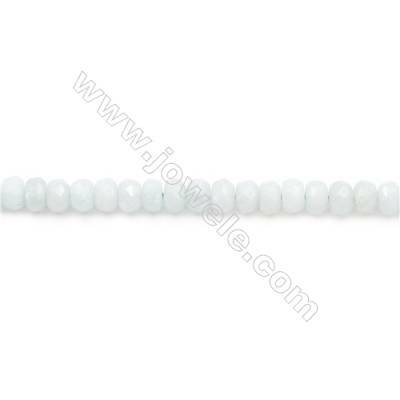 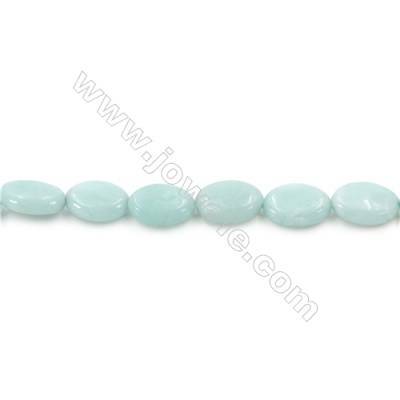 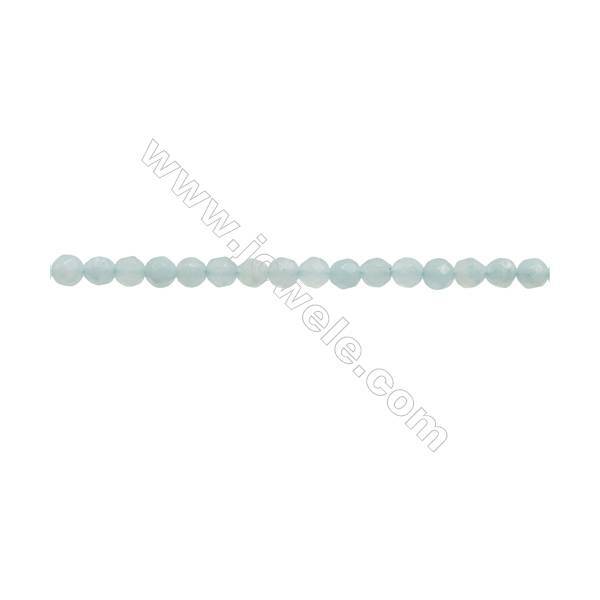 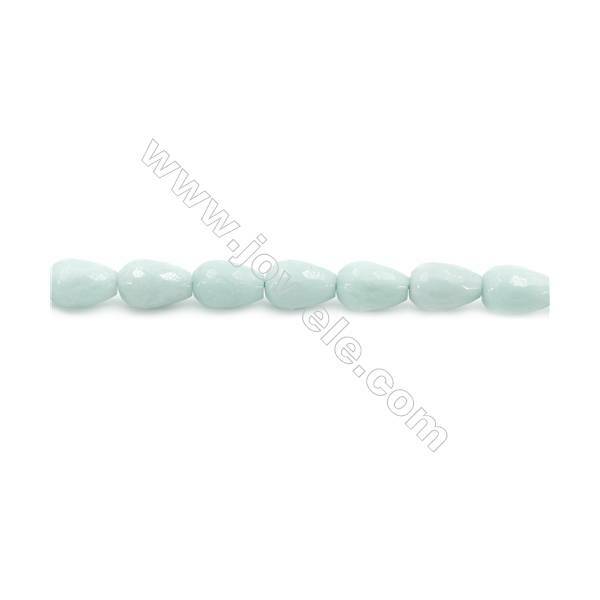 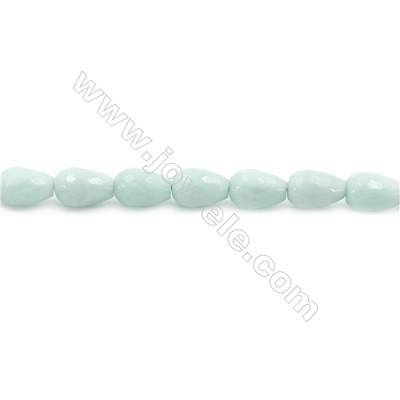 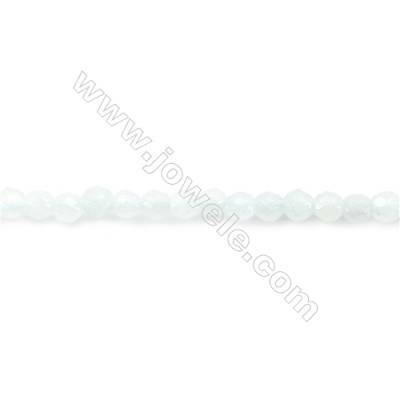 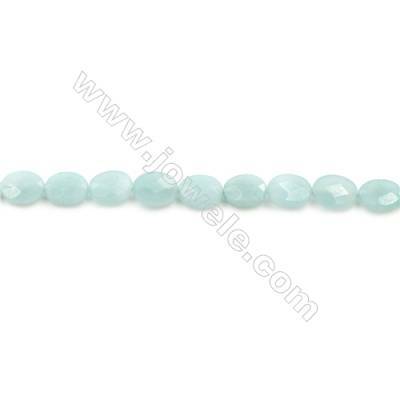 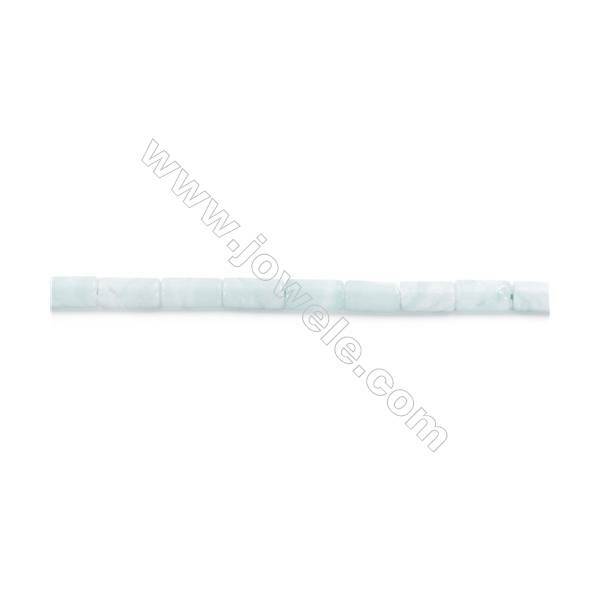 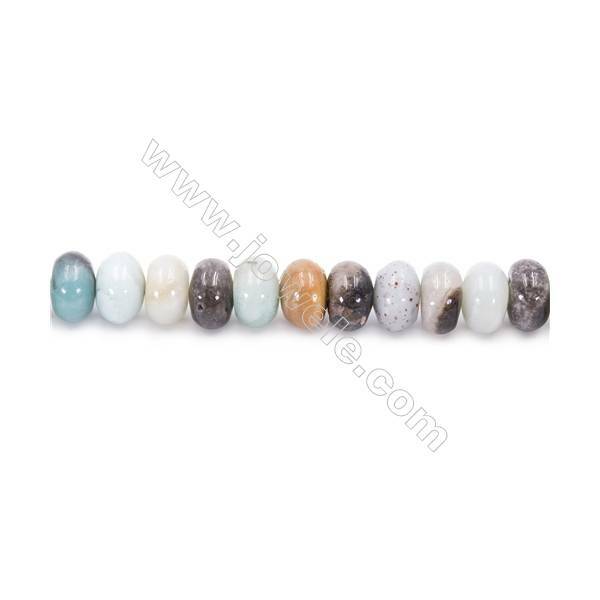 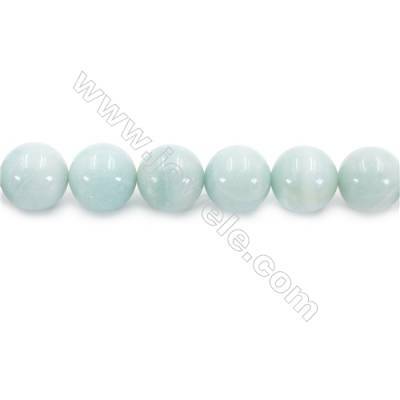 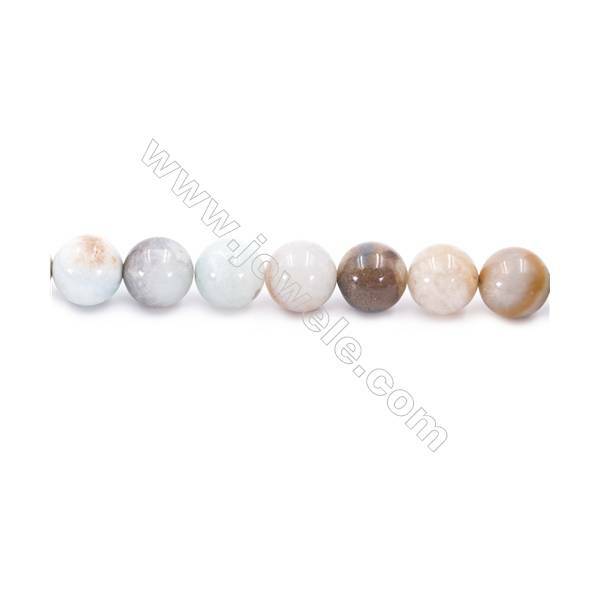 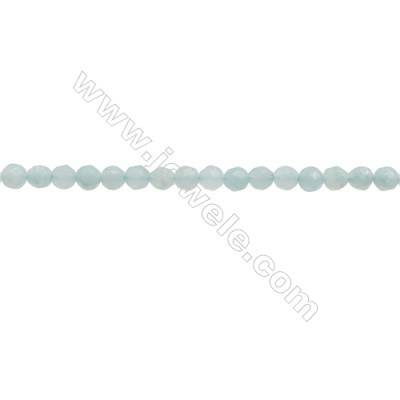 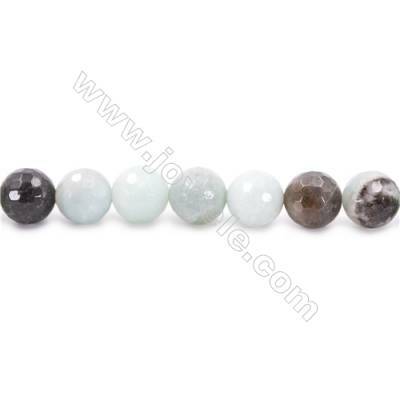 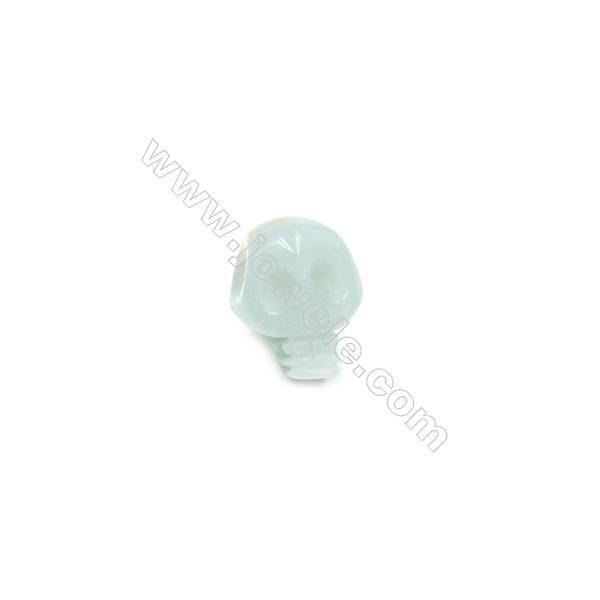 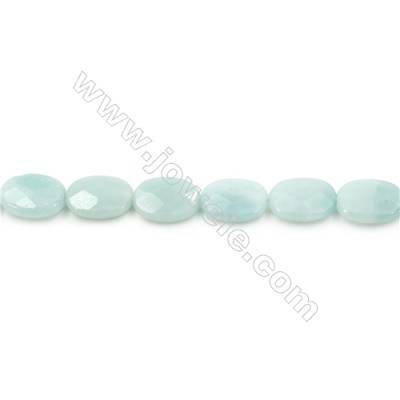 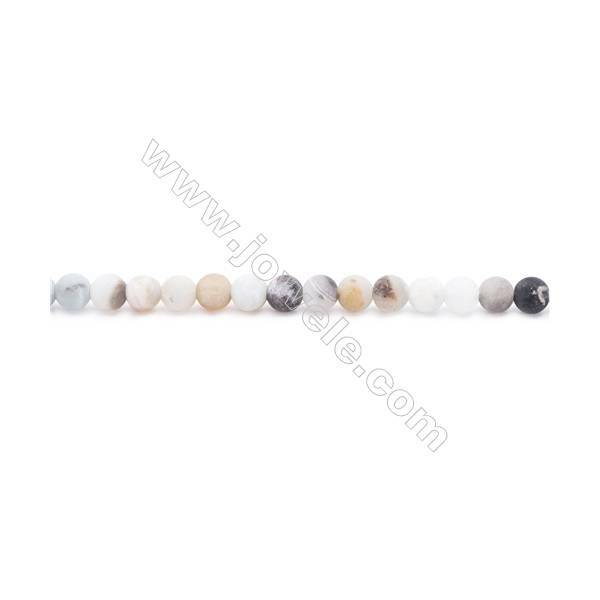 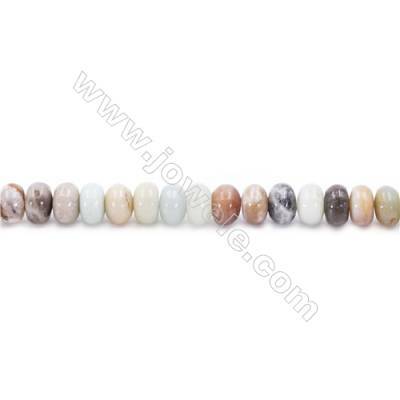 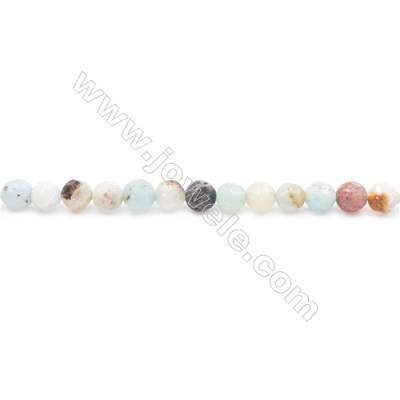 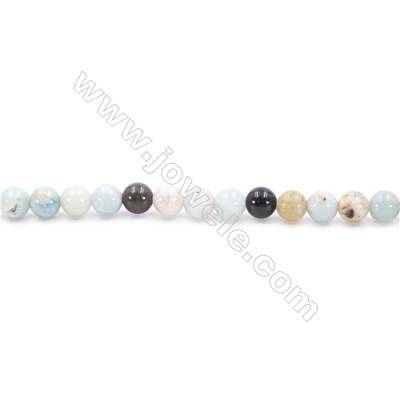 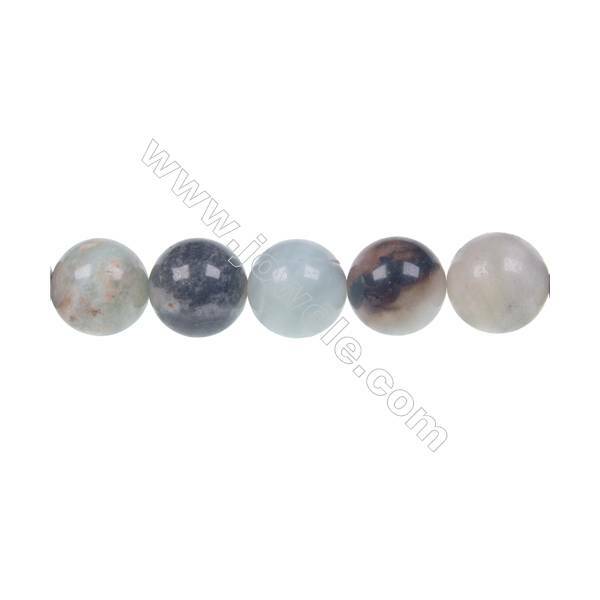 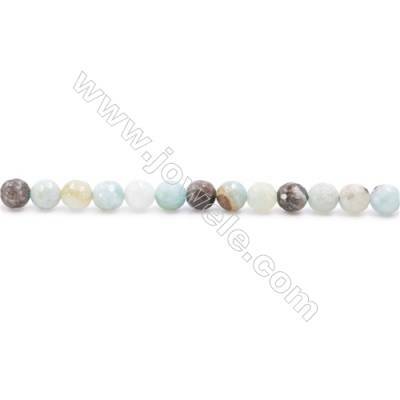 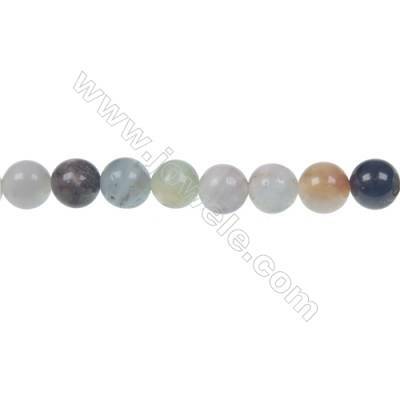 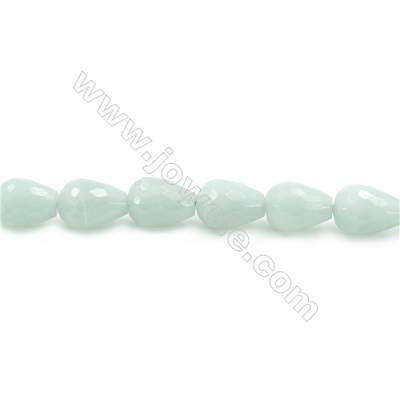 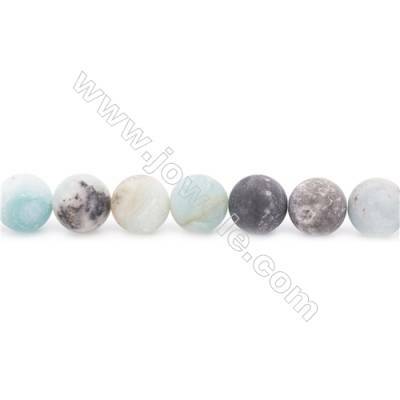 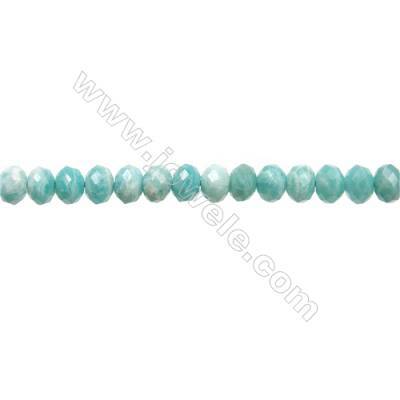 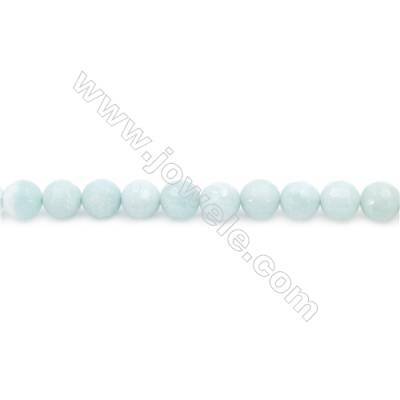 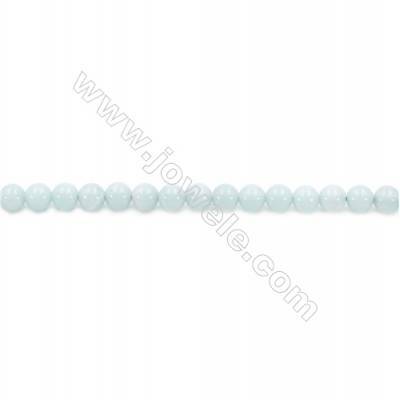 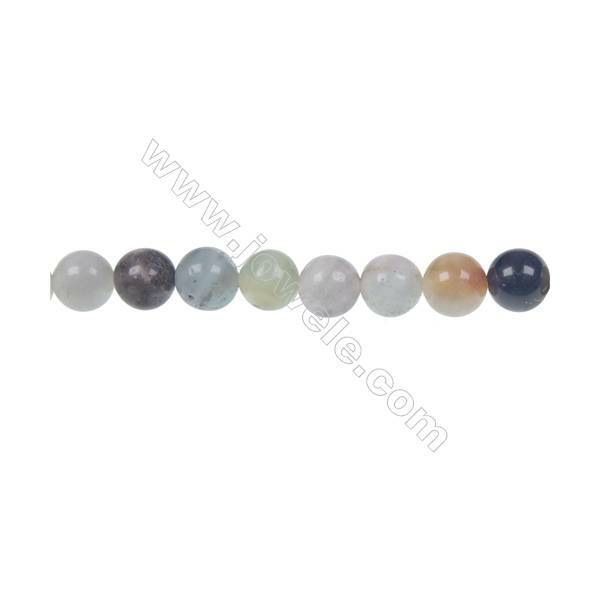 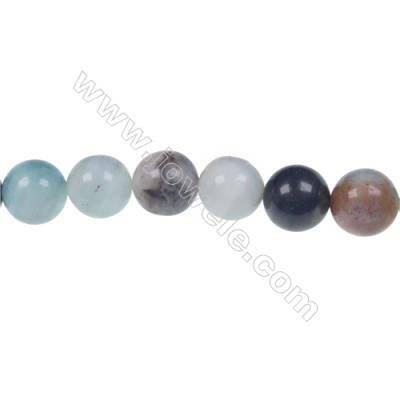 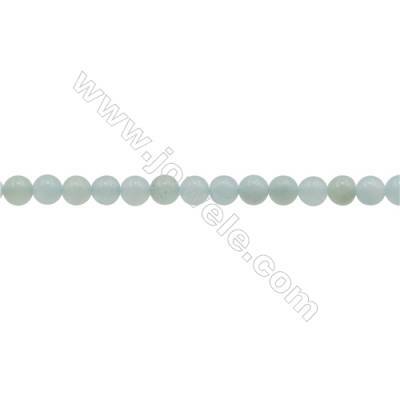 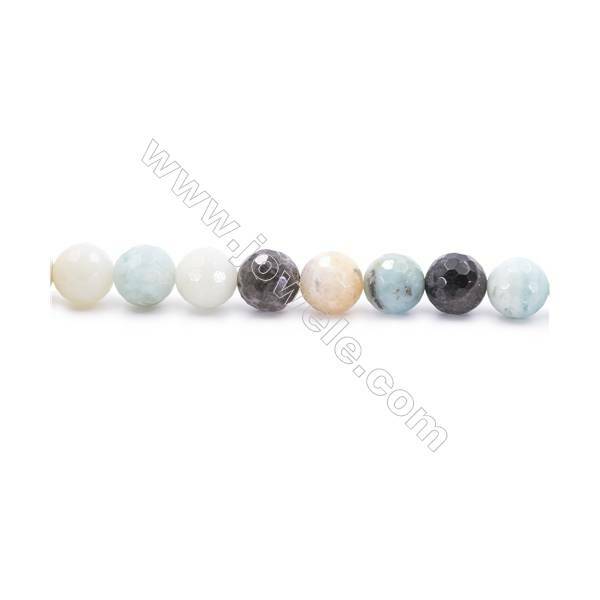 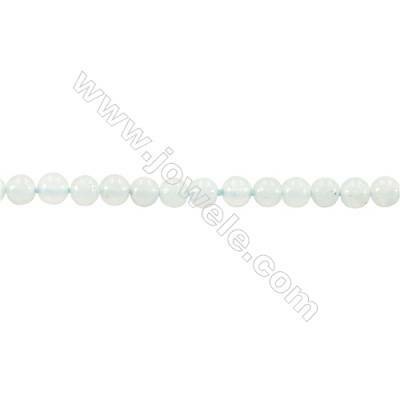 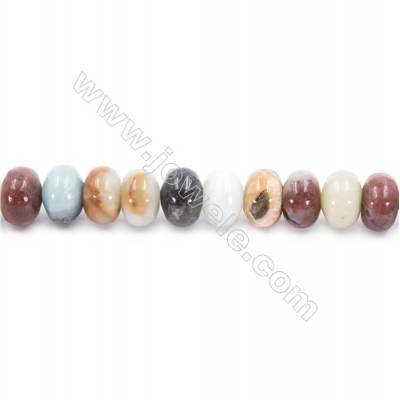 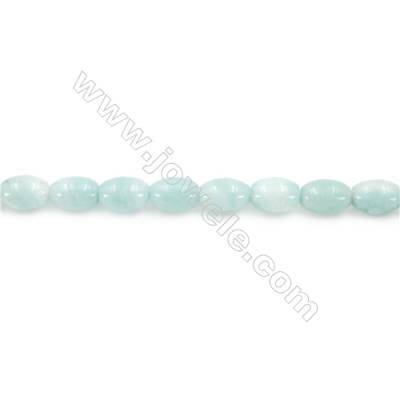 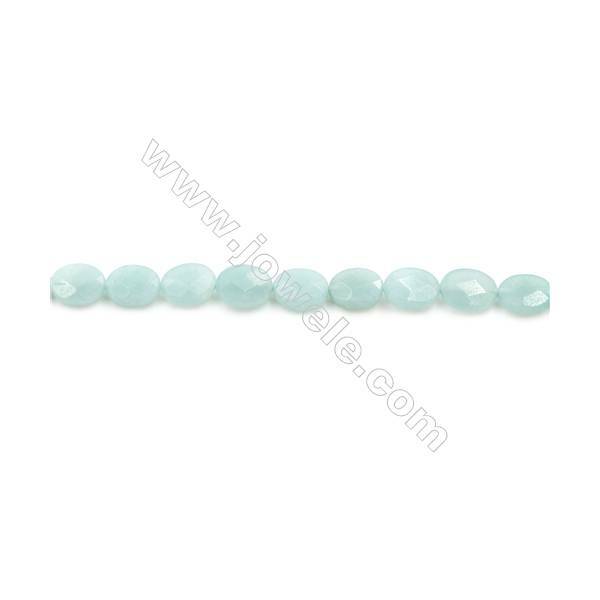 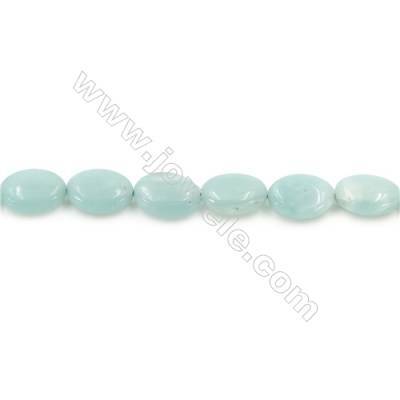 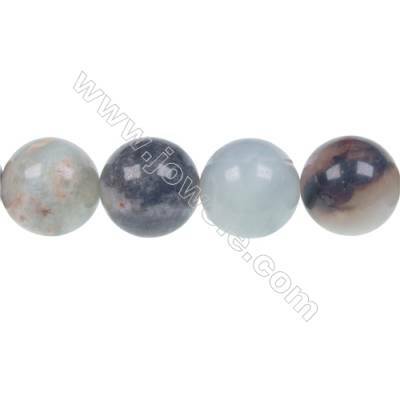 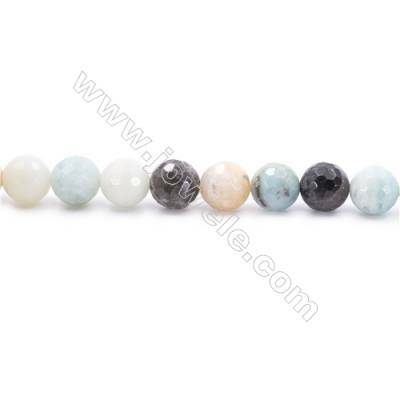 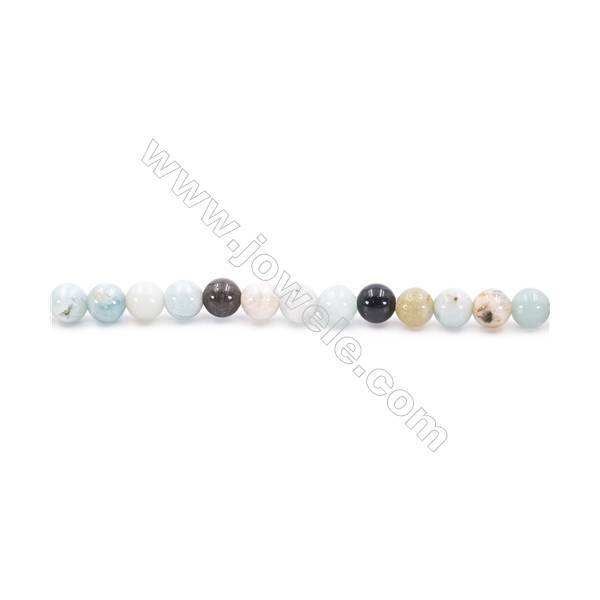 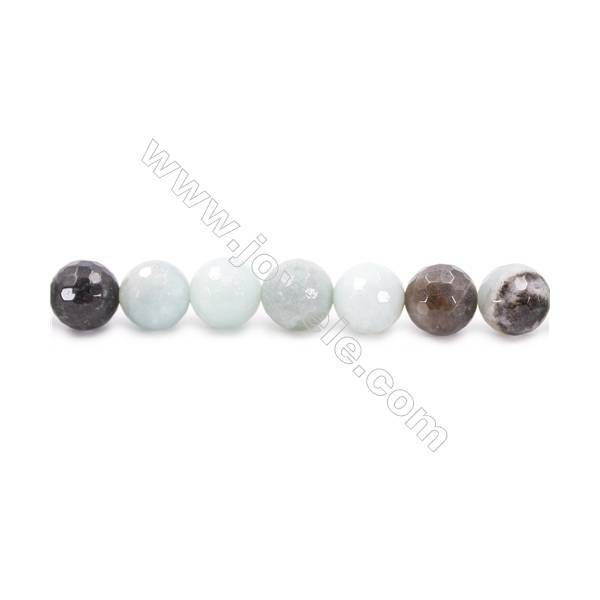 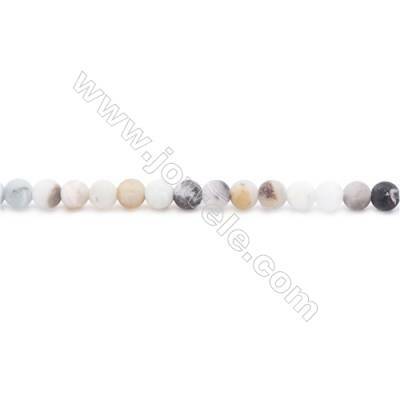 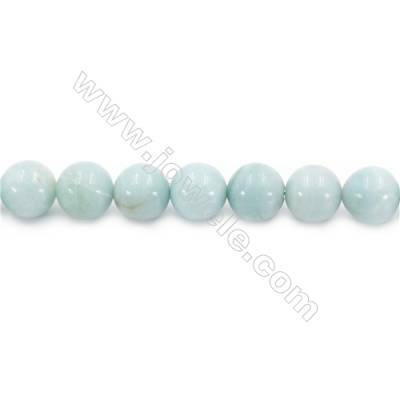 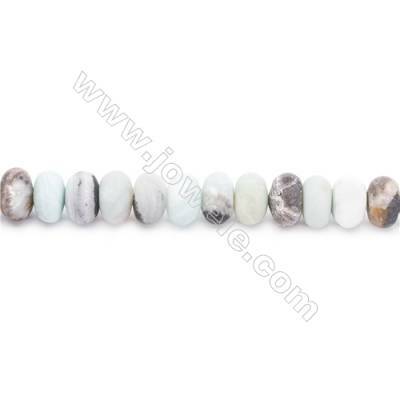 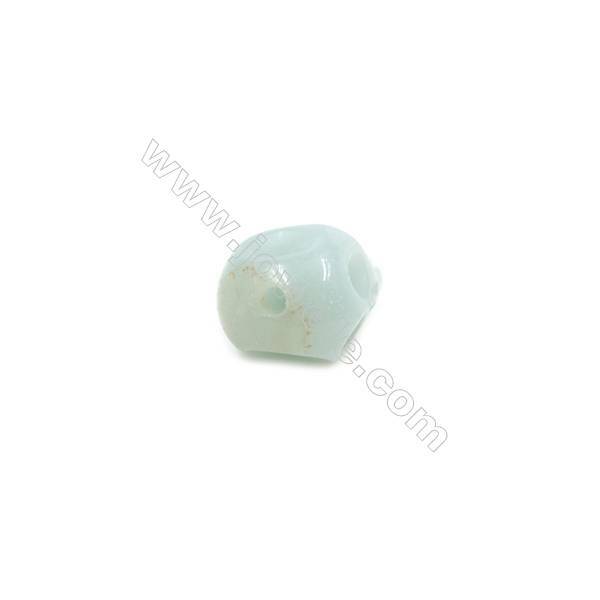 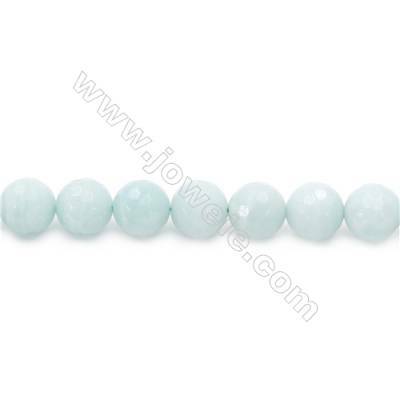 Amazonite helps moderate aggressiveness and helps you deal with cruelty. 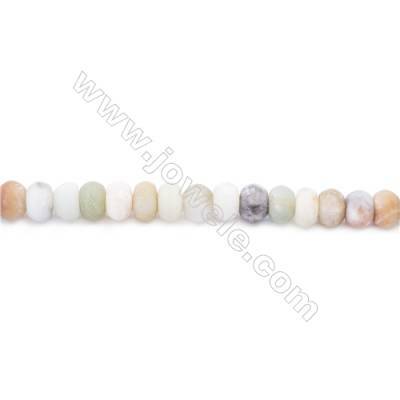 This is a stone of protection - it is used to keep harm away. 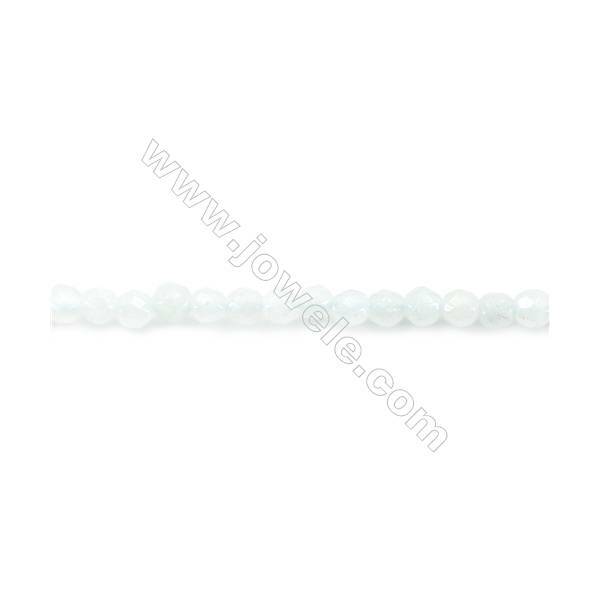 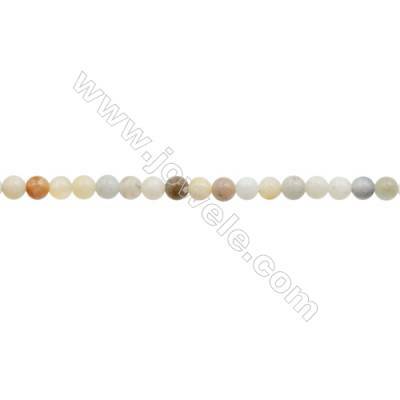 Black Amazonite round strand beads, Diameter 14 mm, Hole 1 mm, 29 beads /strand, 15 ~ 16"
Black Amazonite round beaded strand beads, Diameter 10 mm, Hole 1.2 mm, 39 beads /strand 15~16"
Black Amazonite round beaded strand, Diameter 8 mm, Hole 1 mm, 49 beads /strand, 15 ~ 16"
Black Amazonite round strand beads, Diameter 6 mm, Hole 1 mm, 66 beads /strand, 15 ~ 16"
Natural Faceted Amazonite Beads Strand, Round, Diameter 2mm, Hole 0.4mm, about 181 beads/strand, 15~16"
Natural Amazonite Beads Strand, Round, Diameter 2mm, Hole 0.4mm, about 174 beads/strand 15~16"
Natural Mix Colors Amazonite Beads Strands, Faceted Round, Diameter 4mm, Hole 0.8mm, about 99 beads/strand, 15~16"
Natural Mix Colors Amazonite Beads Strands, Faceted Round, Diameter 6mm, Hole 1mm, about 67 beads/strand, 15~16"
Natural Mix Colors Amazonite Beads Strands, Faceted Round, Diameter 8mm, Hole 1mm, about 49 beads/strand, 15~16"
Natural Mix Colors Amazonite Beads Strands, Faceted Round, Diameter 10mm, Hole 1.2mm, about 39 beads/strand, 15~16"
Natural Mix Colors Amazonite Beads Strands, Faceted Round, Diameter 12mm, Hole 1.2mm, about 33 beads/strand, 15~16"
Natural Mix Colors Amazonite Beads Strands, Round, Diameter 4mm, Hole 0.8mm, about 109 beads/strand, 15~16"
Natural Mix Colors Amazonite Beads Strands, Round, Diameter 6mm, Hole 1mm, about 68 beads/strand, 15~16"
Natural Mix Colors Amazonite Beads Strands, Round, Diameter 8mm, Hole 1mm, about 51 beads/strand, 15~16"
Natural Mix Colors Amazonite Beads Strands, Round, Diameter 10mm, Hole 1mm, about 40 beads/strand, 15~16"
Natural Mix Colors Amazonite Beads Strands, Round, Diameter 12mm, Hole 1.2mm, about 33 beads/strand, 15~16"
Natural Mix Color Frosted Amazonite Beads Strands, Round, Diameter 4mm, Hole 0.8mm, about 97 beads/strand, 15~16"
Natural Mix Color Frosted Amazonite Beads Strands, Round, Diameter 6mm, Hole 1mm, about 67 beads/strand, 15~16"
Natural Mix Color Frosted Amazonite Beads Strands, Round, Diameter 8mm, Hole 1mm, about 50 beads/strand, 15~16"
Natural Mix Color Frosted Amazonite Beads Strands, Round, Diameter 10mm, Hole 1mm, about 40 beads/strand, 15~16"
Natural Mix Color Frosted Amazonite Beads Strands, Round, Diameter 12mm, Hole 1.2mm, about 33 beads/strand, 15~16"
Natural Mix Color Frosted Amazonite Beads Strands, Abacus, Size 4x6mm, Hole 1mm, about 93 beads/strand, 15~16"
Natural Mix Color Frosted Amazonite Beads Strands, Abacus, Size 5x8mm, Hole 1mm, about 75 beads/strand, 15~16"
Natural Mix Color Frosted Amazonite Beads Strands, Abacus, Size 6x10mm, Hole 1mm, about 61 beads/strand, 15~16"
Natural Mix Color Amazonite Beads Strands, Abacus, Size 4x6mm, Hole 1mm, about 92 beads/strand, 15~16"
Natural Mix Color Amazonite Beads Strands, Abacus, Size 5x8mm, Hole 1mm, about 75 beads/strand, 15~16"
Natural Mix Color Amazonite Beads Strands, Abacus, Size 6x10mm, Hole 1mm, about 61 beads/strand, 15~16"
Natural Mix Color Amazonite Beads Strands, Abacus, Size 8x12mm, Hole 1.2mm, about 49 beads/strand, 15~16"
Natural Faceted Amazonite Beads Strands, Round, Diameter 6mm, Hole 1mm, about 63 beads/strand, 15~16"
Natural Faceted Amazonite Beads Strands, Round, Diameter 8mm, Hole 1mm, about 49 beads/strand, 15~16"
Natural Faceted Amazonite Beads Strands, Round, Diameter 10mm, Hole 1.2mm, about 39 beads/strand, 15~16"
Natural Faceted Amazonite Beads Strands, Round, Diameter 10mm, Hole 1.2mm, about 32 beads/strand, 15~16"
Natural Amazonite Beads Strands, Round, Diameter 6mm, Hole 1mm, about 68 beads/strand, 15~16"
Natural Amazonite Beads Strands, Round, Diameter 8mm, Hole 1mm, about 49 beads/strand, 15~16"
Natural Amazonite Beads Strands, Round, Diameter 10mm, Hole 1.2mm, about 39 beads/strand, 15~16"
Natural Amazonite Beads Strands, Round, Diameter 14mm, Hole 1.2mm, about 28 beads/strand, 15~16"
Natural Faceted Amazonite Beads Strands, Abacus, Size 2x4mm, Hole 0.8mm, about 137 beads/strand, 15~16"
Natural Faceted Amazonite Beads Strands, Abacus, Size 3x5mm, Hole 0.8mm, about 114 beads/strand, 15~16"
Natural Faceted Amazonite Beads Strands, Abacus, Size 5x8mm, Hole 1mm, about 71 beads/strand, 15~16"
Natural Amazonite Beads Strands, Abacus, Size 5x8mm, Hole 1mm, about 74 beads/strand, 15~16"
Natural Faceted Amazonite Beads Strands, Barrel, Size 8x12mm, Hole 1mm, about 33 beads/strand, 15~16"
Natural Amazonite Beads Strands, Barrel, Size 6x9mm, Hole 1mm, about 44 beads/strand, 15~16"
Natural Amazonite Beads Strands, Oval, Size 8x12mm, Hole 1mm, about 33 beads/strand, 15~16"
Natural Amazonite Beads Strands, Oval, Size 10x14mm, Hole 1mm, about 28 beads/strand, 15~16"
Natural Faceted Amazonite Beads Strands, Oval, Size 6x8mm, Hole 1mm, about 49 beads/strand, 15~16"
Natural Faceted Amazonite Beads Strands, Oval, Size 10x14mm, Hole 1mm, about 28 beads/strand, 15~16"
Natural Faceted Amazonite Beads Strands, Teardrop, Size 8x12mm, Hole 1mm, about 33 beads/strand, 15~16"
Natural Faceted Amazonite Beads Strands, Teardrop, Size 10x14mm, Hole 1mm, about 29 beads/strand, 15~16"
Natural Amazonite Beads Strands, Column, Size 4x8mm, Hole 1mm, about 48 beads/strand, 15~16"
Natural Amazonite Beads Strand, Twisted Oval, Size 8x16mm, Hole 1mm, about 25 beads/strand, 15~16"
Natural Amazonite Beads Strand, Faceted Round, Diameter 3mm, Hole 0.6mm, about 127 beads/strand, 15~16"
3mm Natural Mix Amazonite Beads Strand, Round, Hole 0.7mm, about 131 beads/strand, 15~16"
3mm Natural Amazonite Beads Strand, Round, Hole 0.7mm, about 130 beads/strand, 15~16"